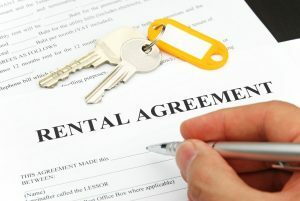 Have a tenant who has not paid rent? Note sure what to do, call our office. Some eviction proceedings could take months before a tenant is evicted. The longer you wait the longer it could take. We can advise you on which action to use. Non Payment – action to collect unpaid rent. Holdover– brought by a landlord to evict a tenant or the person in the apartment for reasons other than simple non payment as well as non payment and/or breach of lease. Unsure of whether you should give a lease or not? There are many factors that you need to consider such as when you could evict, could you get your costs to evict, what if the person pays at the court house. etc. Did you use a store bought lease? Think you are protected? They may not answer these questions. Speak to an attorney. Should I use a store bought Lease? Not filing the paperwork properly or serving the wrong forms could cause a delay in evicting a tenant who has not paid the rent. Many of the store bought leases do not have specific NY provisions. They may leave out items that can protect you or allow you to recover your legal fees. Can you afford to have a non-paying tenant? Need the rental income to pay your mortgage or children’s education? How will you pay your mortgage? How will you pay the tuition? THE BANK WILL NOT CARE THE YOU SAVE MONEY ON A STORE BOUGHT LEASE. Business Tenant: Are you a business tenant? Did your landlord just give you lease the size of a book? Not sure what it says? Have it reviewed by a lawyer. You are investing time, money, and your energy to build your business. Do not get into a situation where you could be out the initial investment quick because you do not have enough protection or you do not have long term lease security. Business Landlord: Renting your space to a business. Not sure if what they are going to use your space for. Not sure if the business is strong enough to pay. Want to have the business owners guarantee payments. We can prepare the lease and provide for the owners of the entity to be responsible for payment if the business fails to pay.